Andy Marquez loves Littleton and he wants to show it. 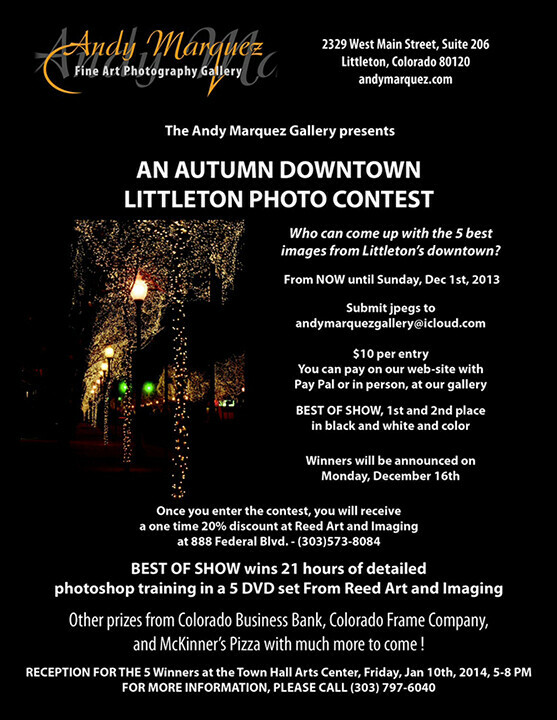 So much so, that the renowned local photographer and gallery owner is sponsoring the “An Autumn Downtown Littleton Photo Contest”. 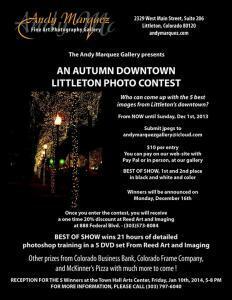 Submit your five best photographs that you feel capture the beauty and charm of Downtown Littleton. McKinner’s Pizza — with much more to come! I live in Littleton, and downtown Littleton is SO beautiful with all the lights. I may have to enter… even though I’m not eligible to win.